Located in game rich Carbon County west of Laramie, we have elk, mule deer, whitetail deer and antelope hunting on over 250,000 acres of private ranch lands in southeast Wyoming. The hunting concession is composed of several large ranches. There is a large elk herd to hunt, lots of deer, and you will see hundreds of antelope each day. All hunts are guided. Overall success is consistently outstanding at approximately 90%-100% kill on all species with nearly a 100% shot opportunity including archery elk hunts. 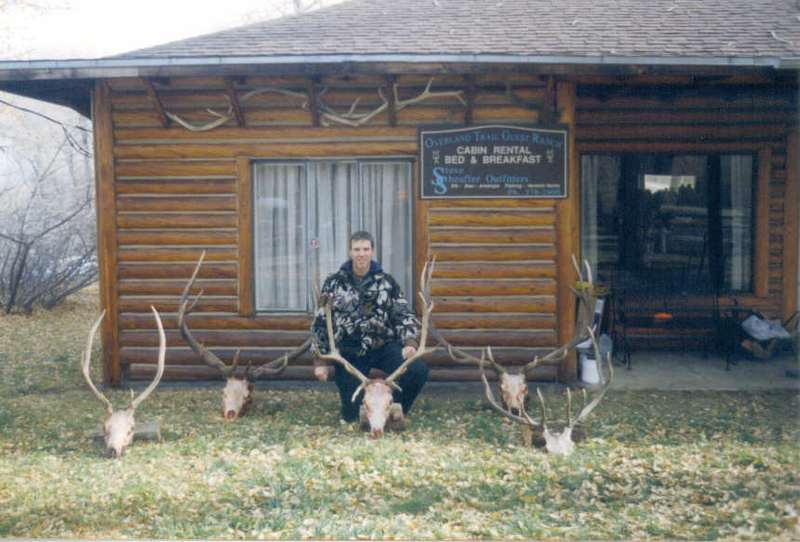 The hardest part of your antelope hunt will be deciding which buck to shoot. Hunters enjoy modern, comfortable accommodations in a beautiful knotty pine lodge or adjacent private cabins. This is a first class hunt with quality accommodations, prime ranch land to hunt, and lots and lots of game. You will not be disappointed here. The ranches are accessed via 4WD vehicle and all hunting is done on foot. We will use spot and stalk tactics, hunt from stands, or drive the thick cover depending on the weather and game movement. The terrain is relatively modest and more easily hunted as compared to our high country hunts, making this ranch hunt an excellent choice for those hunters who are physically just not able to go on our high mountain hunts. Physically challenged hunters are welcome and we will be able to get you into position to see game. Average costs: Guided, private land bull elk hunts are $6000-$6900, mule deer $4995, antelope $2450. We also have 3-day cow elk hunts for $2000. The draw success in our area is very good as we hunt several different units. 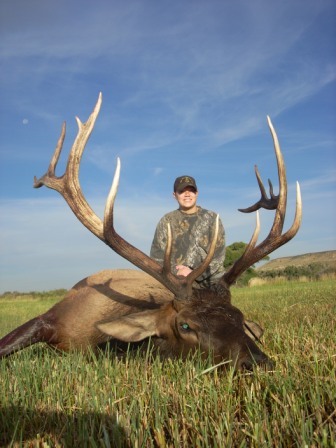 The GEN bull elk license is often successful so do not let the license process be the cause of not trying this outstanding hunting. Please remember that the non-resident Wyoming license application period is January 1-31 for elk with a later deadline of March 15 for deer and antelope. All hunts are subject to taxes and change. We are happy to provide license application assistance for Wyoming.